Mourning an anniversary of the death of his mother, Daniel Blue reached for a broken guitar he had purchased some years earlier and leaned into it with all of his soul. That night he sang a poem he had not yet written, "Hero's Lullaby" and came to call the guitar "Old Blue". From that moment on Daniel threw everything he had and everything he was into song and music. He disavowed himself of nearly all possessions and began to couch surf so that his time could be devoted to learning the craft of music. Within a year Daniel had partnered with a local hip hop producer named Buddy Ross and an eponymous"glitch-folk" album was already finding itself on noncom airways all over the world. Motopony was born. The band immediately found home on the road with multiple US tours and dates all across the UK, with the follow up album recorded at Abbey Road Studios. Jetting to Indian festivals and entertaining their international fan base, the band grew with their popularity. Wrapping up their third full-length release, “50 Katrinas”, with a renewed lineup, featuring lead guitarist Timothy Graham, Daniel Blue is just now hitting his stride as a musician, a businessman-by-proxy, and a leader of a band. 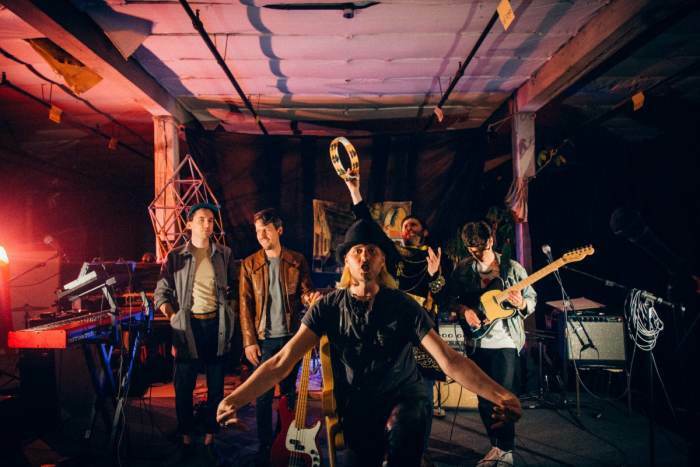 On “50 Katrinas”, Motopony echoes the seeker’s journey with long wistful interludes woven between sharp and neat trippyfolk inspired rock gems. Like living quartz crystals growing out of flowing canyon walls, catchy inspired and distinctively Pacific Northwest psyche-pop singles hide amidst the foliage of a free-spirited kaleidoscope of unhinged compositions. Biting lyrics mock the information age while admitting their home in it, and love and relationships are a carefully crafted theme. was a founding member of The Head and the Heart. I took a break a few years ago to learn how to live more wholly integrated and to work through addictions. I've been writing songs these days that feel good in intimate spaces. I often get to be supported by dear friends adding harmony and stringed instrumentation. It can get magical.